It's always a treat to see someone unexpected embrace tabletop gaming. I just got the Netrunner: Revised Core Set, the latest edition of the popular and surprisingly immersive cyberpunk card game originally designed by Richard Garfield (who also designed of Magic: The Gathering). I decided to watch some videos on playing the game using the new set, as I haven't played in a while. I happened upon a series of videos by Muttnchop Piper, a YouTuber who runs a channel on pipe smoking and tobacco. I was surprised by how good, and charming, these videos are. He talks about how the game brought him and his grown son closer together. His son is an artist, and growing up, wasn't into the typical things, like "hunting and fishing." His son introduced him to the game, and as you can clearly tell from the videos, Muttnchop Piper has really taken to it. He and his son play the game every Thursday. 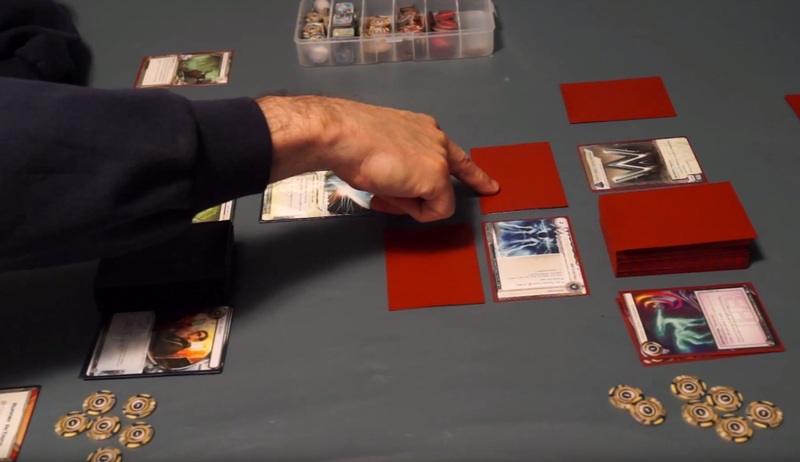 In the videos, he describes the world of Netrunner, how to play one of the Corporations, how to play a Runner, and he runs through a sample game. There are a lot of how-to-play Netrunner videos out there, but I don't think there's a better intro series than the one from this unlikely of sources. I also like this brief video explaining why you should play Netrunner. I love this game and think it evokes a cyberpunk world better than just about anything short of reading a novel in the genre. I strongly disagree with this reviewer's assessment that Netrunner is not a dark future. It says "dystopian" right on the box! I do agree that this game feels even more timely and relevant than it did when it was first released 5 years ago. I also really like how he explains why the community of Netrunner is different from other competitive and collectable card games. Update: As readers in the BB forums were quick to point out, Fantasy Flight announced a few days ago that they will be discontinuing support of Netrunner the end October (after the release of the Reign and Reverie deluxe expansion). Oh well, still a great game, still worth checking out.